Data backup and archiving is sometimes a waking nightmare! How do you balance the need for instant access against the equally important needs for security and the ability to recover data when required? As many IT professionals can testify, few people notice when the systems are running well but everyone right up to the top of an organization will quickly leap into the fray when there is a problem, and if there is data loss it gets worse, with the possibility of external regulators becoming involved. What is the best system to guarantee that data can be recovered when it is needed? Is disk-based easy access systems a better option than tape libraries, or are the more traditional data backup and recovery methods a better bet for long-term data security? Each technology has its exponents and its detractors. Tape is seen by many as slow and inflexible whereas disk based systems give a convenient, easy to operate, backup system with the ability to add on extra features such as single instance storage and de-duplication that require a dynamic filing system. Then there is the current low cost of hard disks, a 5TB disk does not cost that much more than a 5TB LTO 6 tape, and the tape capacity is based upon average data compressibility, the native capacity is 2.5TB, so disk is not the expensive option anymore. Does this mean that tape is going the way of the Dodo and that the future is disk-based? The question to ask is "what is the purpose of our backup and archival system?" A system that is easy to use and to manage is operationally better than one that is cumbersome or complicated. Also, people will use it, so data will be backed up, even the most robust method falls apart if no one uses it. If you have users with laptops who can quickly kick off a backup via the internet with no real effort, then it will happen and you are significantly less likely to find yourself at the mercy of a data recovery company. The downside to ease of use is overuse and abuse. Make life too easy for people and they will back everything up without any thought and you end up with a horrendous situation. Get the policies right though and all should be well. With a dynamic filing system, you can implement de-duplication and single-instance-storage so that the actual space requirement is kept to the minimum. In most instances the disk-based system can win over the other options, data is effectively on-line, or at least near-line. The act of data restoration following an accidental deletion of a corruption is straightforward, and should not involve several days of nagging the IT department before the data is back in place. Do we eliminate the tape storage? Not so fast. The on-line backup and the clever sophisticated disk-based store might give you convenience and an immediate result when there are minor problems. However, what if the problems are more severe or the requirement for data is external, for example, related to banking regulation or some other aspect of compliance? The overhead of getting the tapes, cataloguing them and restoring the required data, seems less of an ordeal when there is a total system failure or a wipeout, for example following a fire or a flood. The fact that you can send for the backup tapes from off-site storage and get up and running again is all that matters. Even when the on-site backup tapes have been submerged under a few feet of water, the chances of a full data recovery are good, far better than those for any disk, especially one that was still spinning when the water hit. Where issues of regulatory compliance arise being able to take a set of tapes that provide a snapshot of the systems for the required time period is a major benefit. No question that the live data may have been tampered with, or that a snapshot from the near-line system may have been inadvertently deleted, the month end tapes for the required time will have been sitting keeping a copy of the data nice and secure, and with a lower power requirement than for an always-on system. If you have taken the chance to use the WORM feature of some of the tape systems such as LTO or T10000 then this confidence can be enhanced further. Record some data to a hard disk drive and to a tape. Take each and drop them from six feet off the ground, then try recovering the data. The disk might work if you are very lucky, the tape will almost certainly work. At worst the tape casing will require a bit of work, but generally, it will be fine. As data recovery specialists we know which we would rather have our backup archive stored on in the event of an impact, it would be the tape every time. The point is that the two data storage media are different, and designed for differing purposes. Disk-based systems give convenience, fast response, and can be an invaluable near-line backup system that will smooth out the delays that could otherwise be caused by minor operating glitches. Tape-based systems, however, give a solid backstop of data security and a reliable data audit trail. The answer to "tape or disk?" is ideally "both". The rather cumbersomely named D2D2T (disk-to-disk-to-tape) systems provide a hybrid of both technologies making use of the speed and flexibility of disk for immediate backup and recovery, but with the robust backing of tape storage to add that extra level of security. 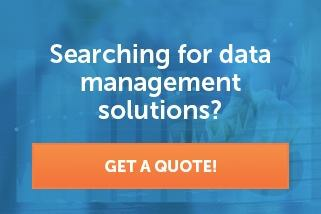 Learn more about how TDS’s expertise in data restoration can help you. Fill out this form or give us a call at 844-679-7600 to get in touch. This post was originally featured on the blog of Altirium, a TDS company.